It all happened over chicken souvlaki. 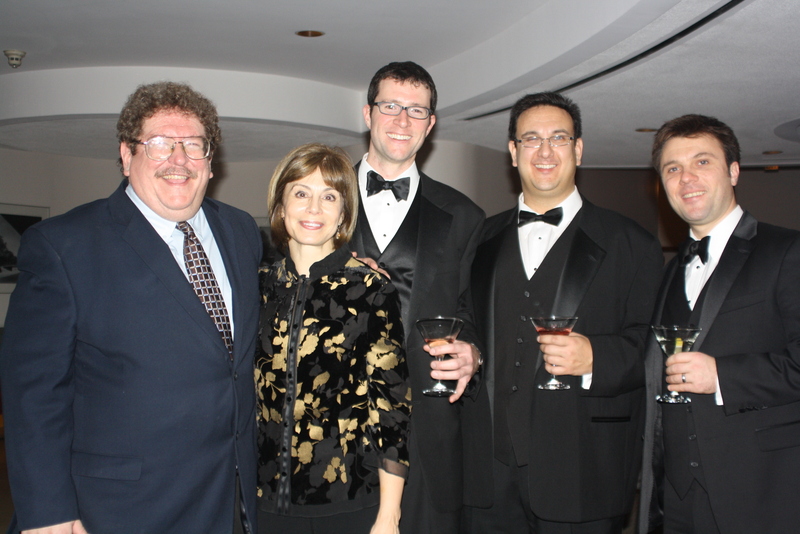 In the Spring of 2010, composer Eric Ewazen spent a week with the Buffalo Philharmonic as we were performing his “Songs to the Banks of Ayr”, a concerto for percussionist Evelyn Glennie. Since my colleagues and I were previous acquaintances of Eric in varying respects, we asked him to join us for lunch at a local Greek restaurant, lauded for their fabulous chicken souvlaki. While chatting, we asked Eric if he could write us a trio as we were preparing for some trio concerts and, as many of you know, original repertoire for trombone trio is not in abundance. Eric was excited to pen something for us, and within a minute or two, the proposal of a short trio snowballed into a full-fledged concerto for three trombones and orchestra. Eric enthusiastically pitched the idea to JoAnn Falletta, Music Director of the BPO, and she agreed that it was a fantastic idea. Two and a half years later, we had ourselves a 25-minute concerto and three world premiere concerts with the Buffalo Philharmonic! Needless to say, triple trombone concertos are not commonplace. There are a handful in existence, but to my knowledge (and I could be wrong), this concerto is the first for full symphony orchestra. I’m aware of at least two other pieces that are for three trombones and mixed instrumentation, such as strings, strings & percussion, wind band, etc, but the Ewazen is the first of this magnitude. As part of the publicity for the premiere performances, the BPO trombones were interviewed a few times by various news outlets and students. A frequent question was “Do you think this piece will open the door for more of its type?” That’s a tough question to answer, as who knows what will happen? 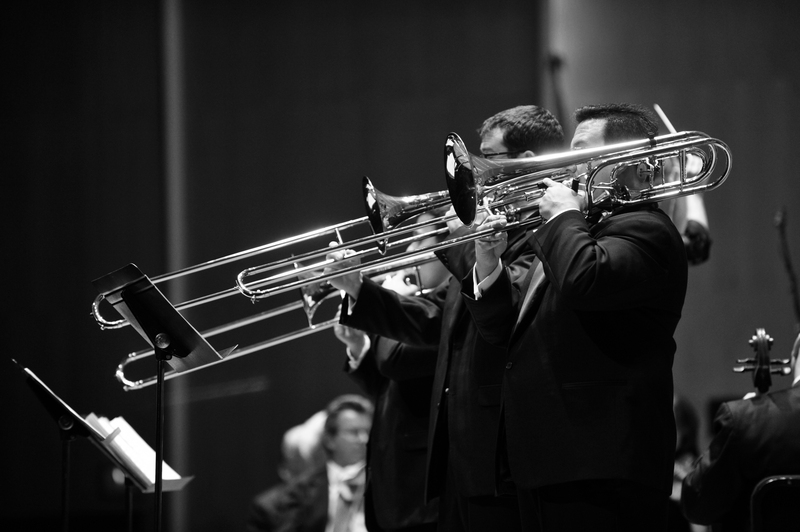 If nothing else, I hope it inspires more composers to write soloistically for the trombone, more audience awareness that we’re not simply ‘noisemakers in the back’, and more trombonists proactively seeking out new repertoire opportunities. While I doubt there will be a rash of new concerti for three trombones, the impact of this piece should certainly encourage these ideals. One of the amazing things about this project is how quickly it came to fruition. As a soloist eagerly awaiting the music to arrive in my Inbox everyday, it sure didn’t feel like that, but in the grand scope of how these projects usually crawl along, it all happened in a blink. I’ve written a few blogs about the project, which you can few on the right side of this page. One of the highlights, in my humble opinion, was the opportunity to grow musically as individuals and as a section. I have attached some excerpts and links of the publicity we had while preparing for the premiere concerts. Doing the interviews was a blast, and I hope we can do more as we start to market the Triple Concerto to other ensembles. As you can see, we certainly have our share of fun! Just heard this concerto on Perf Today, always delighted when something new by Eric Ewazen turns up. I love this guy — he’s our era’s best — he writes for people who like to remember in 10 minutes what it was they just heard. This was no disappointment. Am ordering some recorded Ewazen brass to send my grandson — who, with the choice of any instrument in a house where there was just about everything but — decided to play the trombone. It’s working out fine. Many thanks to all of you, for this great piece of work!